Hitz Boxing’s ‘Fight Night at the Horseshoe’ Returns to Hammond, IN May 25th! Hitz Boxing’s popular “Fight Night at the Horseshoe” series will return on Friday, May 25, 2012, at the Horseshoe Casino in Hammond, Indiana, featuring Chicago’s own former heavyweight title challenger and long-time top contender “Fast” Fres Oquendo (33-7, 21 KOs) in the 10-round main event. 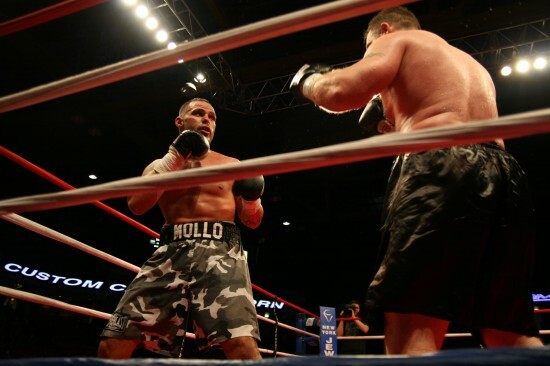 The next installment of Hitz Boxing’s wildly popular “Fight Night at the Horseshoe” series will be held on Saturday, February 18, 2012, at the Horseshoe Casino in Hammond, Indiana, featuring heavyweight contender “Merciless” Mike Mollo (20-3-1, 12 KOs) of Oak Lawn, Illinois; NABA-US Champion Yakubu “Black Mamba” Amidu (20-2-1, 18 KOs) of Los Angeles via Ghana; the unveiling of newly signed Cleveland-based junior welterweight prospect Prenice “Greatness” Brewer (16-1-1, 6 KOs); and a host of local favorites and warriors who have earned their spots through previous strong performances. The full card has been announced for Hitz Boxing’s triumphant return of the “Thanksgiving Eve Belvedere Bash”, on Wednesday, November 23, at the posh Belvedere Banquet in Elk Grove, Illinois.